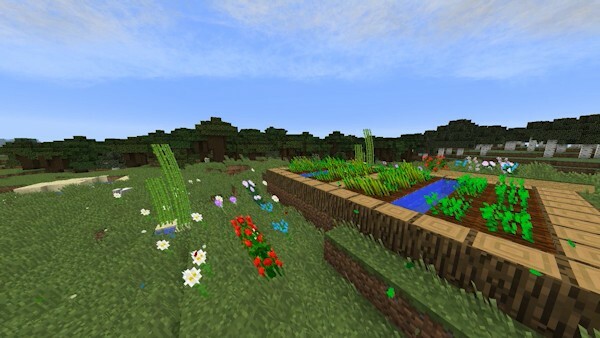 Adds a localized weather system that replaces minecrafts global weather, wind, and lots of ambient enhancements. The weather system includes tornadoes, hurricanes, sandstorms, water spouts, windstorms, thunderstorms, various stages of rainfall. Particles are thrown around in the wind. Leaf particles fall from trees. Localized rain can occur after it builds up humidity over high humid biomes or water. Warm and cold particle based weather fronts spawn in, when they collide they can create a storm that will develop into deadlier storms. Stages are: lightning, high wind, hail, tornado touching down all the way to F5, if over ocean, it will be a large cyclone all the way to hurricane. 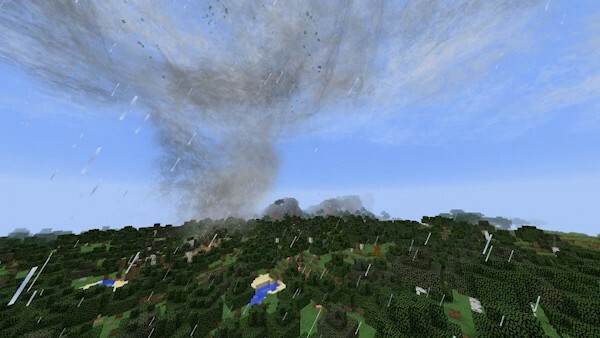 Tornadoes that tear up the terrain and throw around entities, pulling them into the deadly vortex, can be configured for what it grabs. 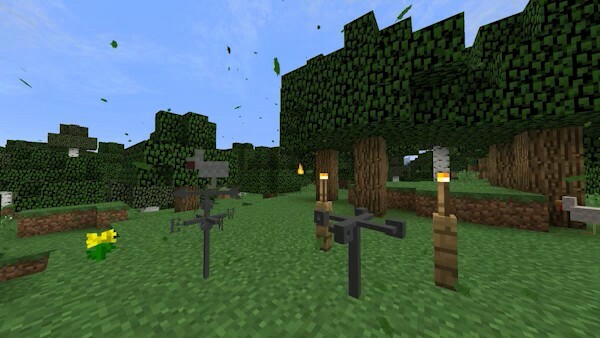 Trees and foliage rustle in the wind by spawning particles and making calm sounds. Long falling water creates strong waterfall sounds. 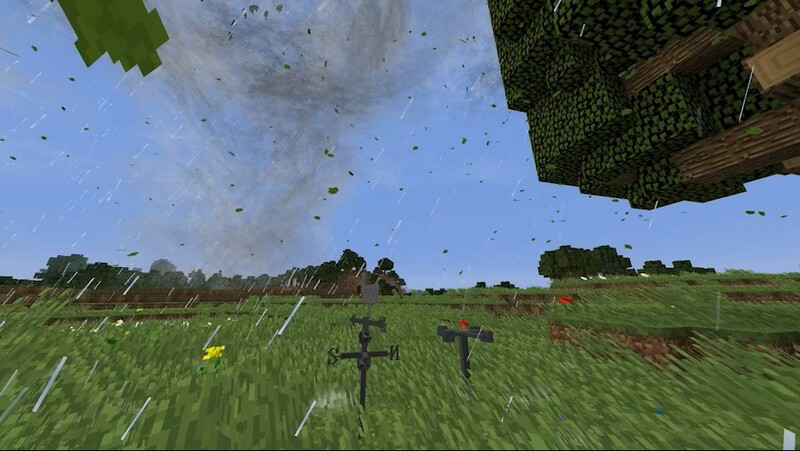 Everything in the mod is moved around by the dynamic wind system. Clouds and storms are moved by the changing global wind direction. The rest, mainly particles, are moved by either the unique weather events in the area, or global wind with random gusts. 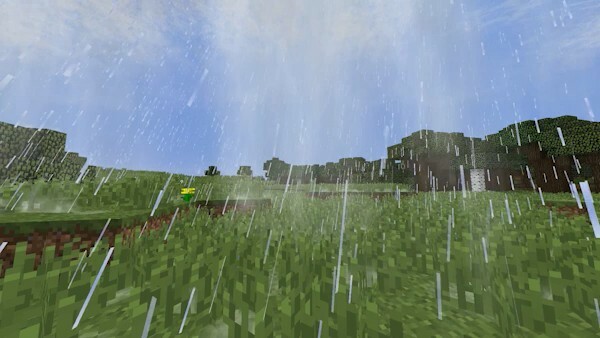 Particle based precipiation, including light, medium, and heavy rain, each with new ways to show off the intensity. 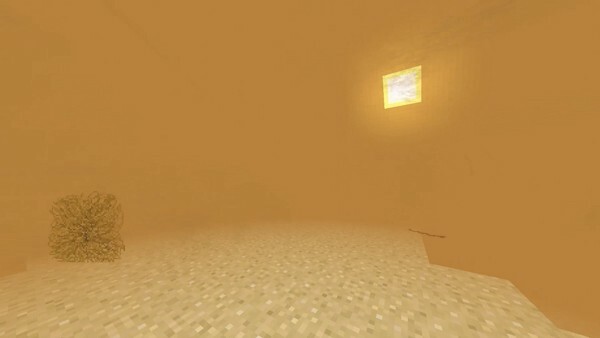 Sandstorms will spawn in deserts, building up sand slowly as it passes over the player with intense visuals. 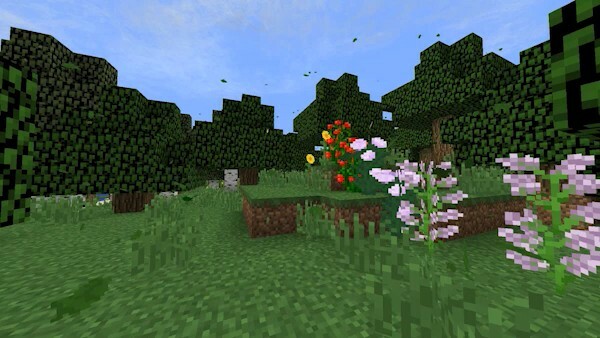 With a focus on performance, a shader that makes foliage based blocks sway in the wind to bring the game to life even more.